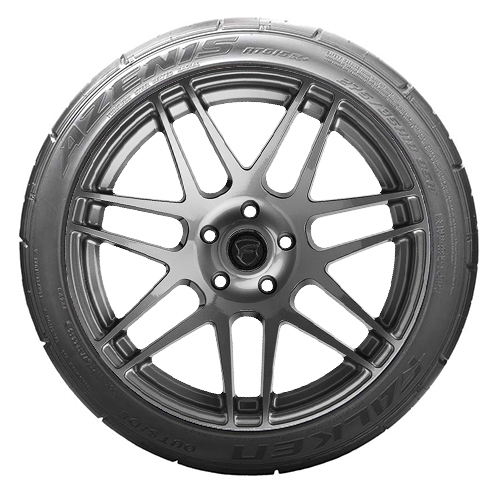 The Azenis RT615K+ was developed for the performance driver. It is derived from the original competition-winning RT615K. The "+" denotes a new digitally engineered, nanotech formulated compound that offers superior grip and excellent handling. Price Listed is for TWO Tires. Prices vary depending on size. Continuous center rib reduces wheel spin by reducing contact-patch void ratio under heavy acceleration. 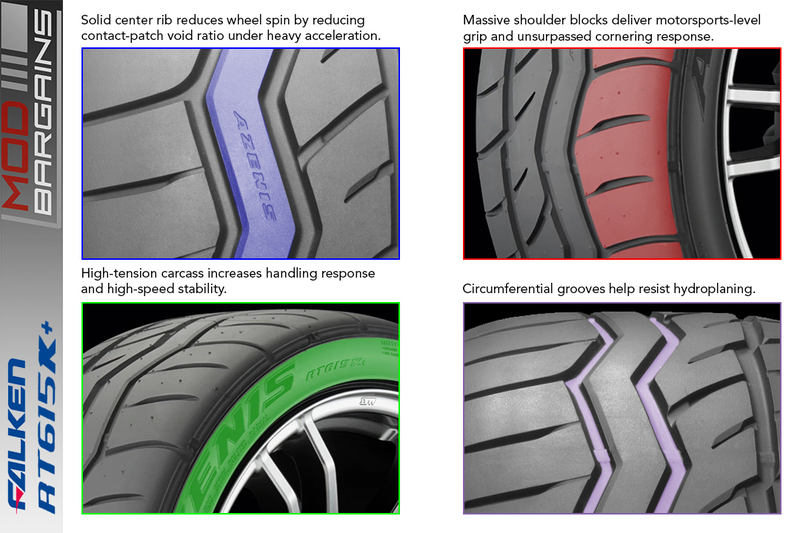 Massive shoulder blocks deliver motorsports-level grip and unsurpassed cornering response. Circumferential grooves help resist hydroplaning.